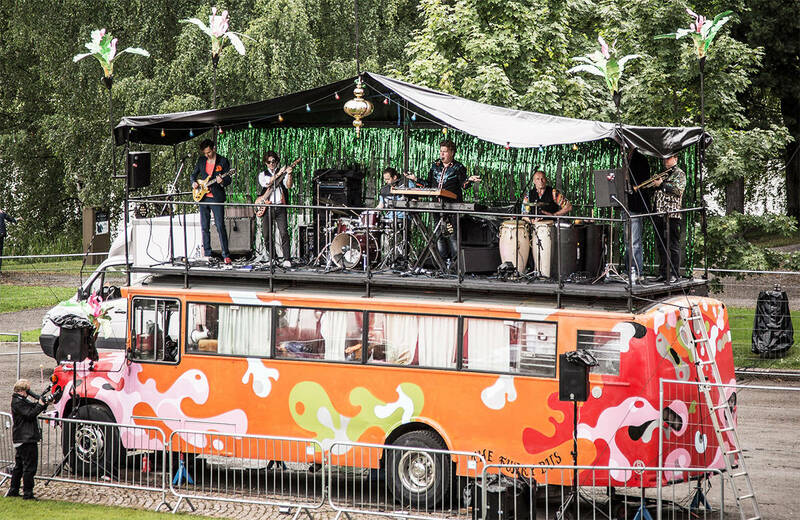 The Funky Bus – a mobile stage! It’s a modern version of a Woodstock hippie bus, pimped to the max and funky as hell! It even has a stage on the roof for the band to play outdoors. It’s our home, our tour bus, our backstage and our stage, all at the same time. 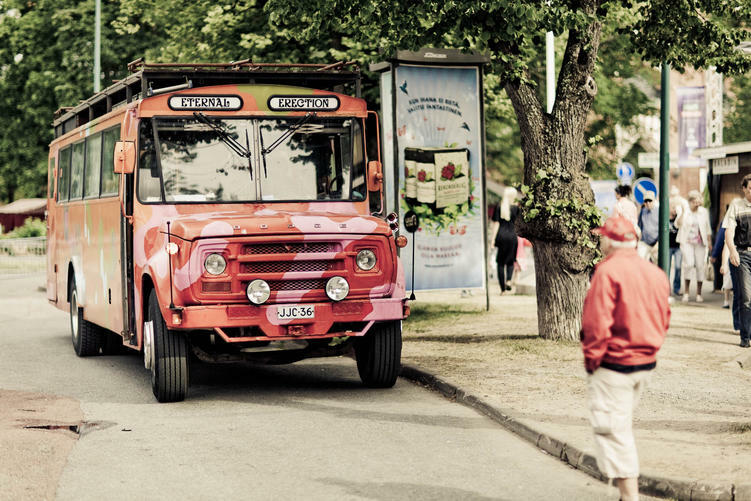 The Funky Bus has been at several festivals including Brighton beach during The Great Escape Festival, and in the city center of Helsinki during the Eurovision Song Contest. We turn on our PA system and give you a crowd-pleasing and extraordinary show with even DJ’s included. If you want us to play a gig on it for any event just give us a call! After many years of playing on different festivals we can assure you won’t be dissapointed! We love it, it’s The Funky Bus (sometimes we even call it Betty…)!